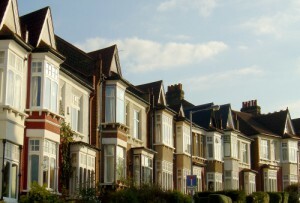 The buy-to-let mortgage market is booming, with lending figures jumping 22% over the past twelve months –according to the Council of Mortgage Lenders over 19,000 landlords borrowed £2.7billion to invest in property in that period. There has also been a significant increase in the demand for lending for prime properties during the three months to June. The continued confidence in property investment will be fuelled by news that, nationally, house prices rose by 5.7 per cent in May, and coupled with some extremely low buy-to-let rates from lenders, more and more individuals will consider becoming a landlord. If you are considering a buy-to-let mortgage, or you are an existing landlord looking to re-mortgage, it should be noted that some of the best deals are not available through the mortgage comparison websites or through high street lenders – Steve Padgham, the mortgage expert at The Financial Planning Group – is able to access the whole lending market and could help you find the perfect deal. Why not give Steve a call on 0800 731 7614 or e-mail him at steve.padgham@fpgonline.co.uk and ensure you get the best possible independent mortgage advice? I will be selling the property next year, which is a year late, I know!